The NFL Hall of Famer and ESPN analyst will share insights from his decades of experience as an NFL player, coach and analyst on the importance of leadership and the value of teamwork. Participation at the keynote event is available only to those attendees who have purchased United Fresh’s educational packages. Mike Ditka coached the Chicago Bears for eleven years and New Orleans Saints for three. He was awarded NFL Coach of the Year in 1985 and 1988 by the Associated Press, has won three Super Bowls and was elected to the Pro Football Hall of Fame in 1988. He currently serves as a commentator and analyst for ESPN. Sports Speakers 360 is a booking agent for pro athletes. 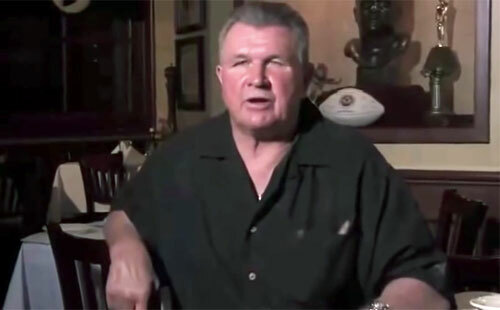 If you would like to book Mike Ditka for a speaking engagement, appearance or endorsement, contact Mike Ditka’s booking agent for fees at 1.855.303.5450.